TUCSON, AZ – The Tucson Roadrunners, proud American Hockey League affiliate of the Arizona Coyotes, announced on Friday that the team will be holding the first-ever "Roadrunners Fan Fest" on Saturday, September 9 from 12-2 p.m. at the Tucson Convention Center. Featuring unique opportunities such as having the ability to sign a dasher board that will appear on the ice this season, all Roadrunners fans are encouraged to attend this free event. Other activities will include an arts and crafts area, a garage sale to purchase autographed items and discounted team merchandise as well as a chance to win team prizes. Fans can participate in the event as they're also able to view the ice being built inside the Tucson Arena, signifying one step closer to hockey in Old Pueblo. Photo opportunities with Dusty will be available and willing participants can put their own skill to the test at the Roadrunners Puck Shot inflatable. Light snacks and drinks will also be available. Roadrunners Full and Partial Season Ticket Memberships are now on sale via the team office by calling 1-866-774-6253 and speaking with a member representative. Perks include exclusive member team events, an exclusive member gift, guaranteed lowest pricing, the Never Waste A Seat ticket exchange program and more, starting as low as just $10 per seat. 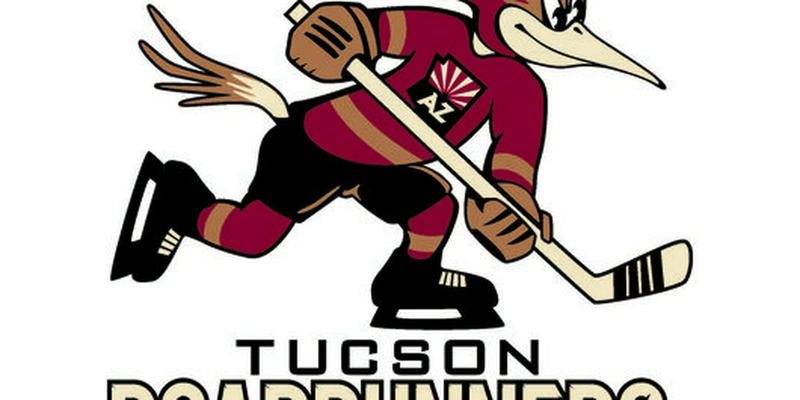 Additional information can be found on the newly redesigned – TucsonRoadrunners.com. Groups of 10 or more may book now for preferred nights are additionally encouraged to contact the team for more information.